SIXERS JOJO EMBIID WENT TO THE VIDEOTAPE, LEARNED TO DOMINATE! Sixers center Joel Embiid is a “film geek,” according to skills trainer Drew Hanlen. In his first healthy summer as a professional, he studied how Kobe Bryant, Anthony Davis and other superstars handle double-teams, Hanlen told CBS Sports. He knew he had to decrease his turnovers, and he wanted to be prepared for any kind of scheme that an opposing defense might throw at him. 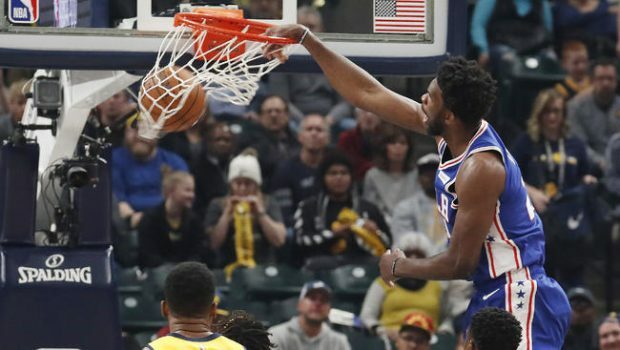 Post play is not popular in today’s NBA, and part of it is because there aren’t a ton of enormous, quick-footed and highly skilled players like Embiid on this planet. Another part of it, though, is that the game isn’t set up for the old-school, throw-it-down-low strategy to work well. If Embiid had played in the big-man heyday of the 90s, he would have benefited from the illegal defense rule, which forced coaches to choose between single coverage and a hard double-team. In order to be as effective as he can in this era, he had to learn how to read the entire court, anticipate where help is coming from and be patient without being too methodical. He also had to deal with smaller defenders flopping all over the place. Three weeks in, his offseason work is evident. 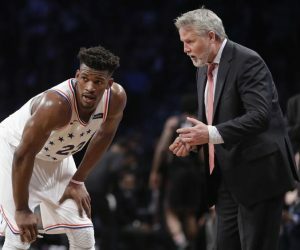 “He had a hell of a summer,” Coach Brett Brown said, adding that it has spilled over into his mentality and disposition. Embiid wants to dominate. With the ball in his hands, he is as aggressive as ever, but more impressive is the polish on display when making his moves. He is as likely to dunk on you as he is to use his soft touch to loft a floater over your fingertips. He is willing to pass, knows where the Sixers’ shooters are stationed and keeps getting better at finding cutters. He is being a big bully, but not recklessly ramming into people. On the block, opponents have often had to resort to fouling Embiid — he has attempted a league-leading 9.9 free throws per game. This is a losing proposition because he has made 80.7 percent of them. On the perimeter, Embiid is much harder to handle than he used to be. Brown pointed out that he’s no longer needlessly upfaking or forcing out-of-control drives into traffic. When Embiid puts the ball on the floor now, he is staying low, maintaining his balance and largely avoiding the frustrating turnovers that were such an issue last season. He is a threat no matter where he is, and it’s not just because of his dribble-handoffs and shooting range. Even if you play close to perfect defense and force him to take a contested midrange shot, he can punish you. The new version of Embiid is a more mature, cerebral player who is efficient with his movement. 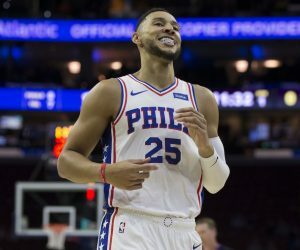 He works with Sixers assistant coach Chris Babcock before and after practices, building on everything he did with Hanlen. 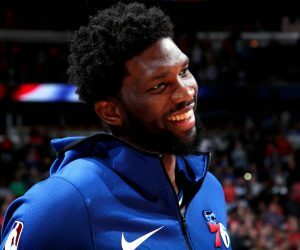 “By and large he’s carried this team,” Brown said, adding that he wants Embiid to keep growing as a leader. In that department, his effort is showing, too, whether that means calling out his teammates for not sharing the ball in Brooklyn or generally bringing a level of energy that everybody else is supposed to match. The craziest part of all this: As extraordinary as Embiid has been, he still has a big, glaring area of growth. The other major focus of his summer was becoming a more consistent 3-point shooter, but he has only made 30.4 percent of his 3s this season. When that starts to translate, there will truly be no way to guard him. Previous TEMPLE’S BOWL HOPES ON THE LINE AGAINST HOUSTON! Next HOW GOOD IS BAMA? BILLS WOULD BE FAVORED BY 28 1/2, VEGAS SAYS!